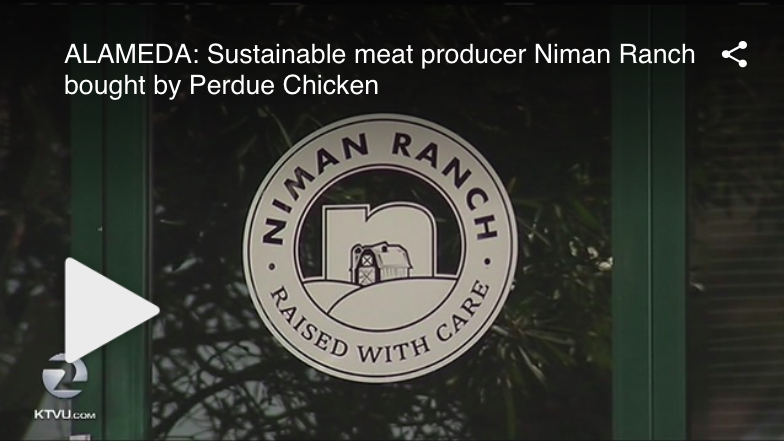 Niman Ranch was recently acquired by Perdue Chicken. This seemed to surprise a lot of observers, but this was one I could see coming. Want to see why? And other implications for the food sector? Check out my TV interview with KTVU Fox News reporter Jana Katsuyama. Here’s a link to the KTVU story.